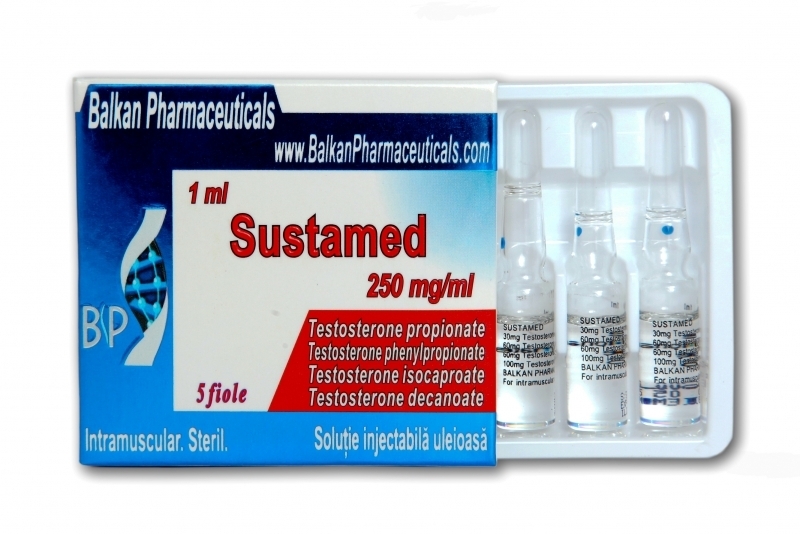 Sustamed is a steroid that is injected. It is formed of 4 testosterone mixture esters. It is a steroid designed to act for a longer period. Propionate and phenylpropionate act immediately, but the remaining esters are activated more slowly and remain in the body for a period of 2-3 weeks. 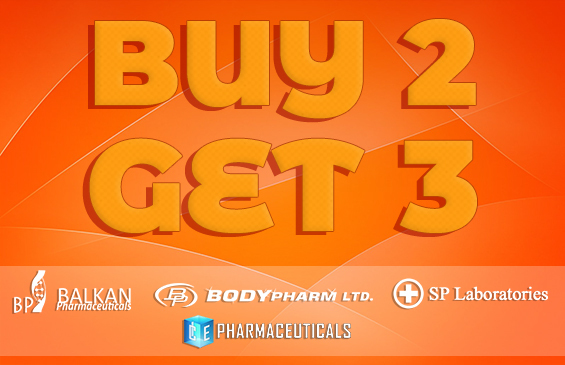 Anabolic effect is pronounced, as well as androgenic activity is emphasized. It is used for large increases in muscle mass and strength. Although it is flavored, as a testosterone-based steroid side effects are slower. Sustamed testosterone acts more slowly in the blood, which causes side effects occur later. 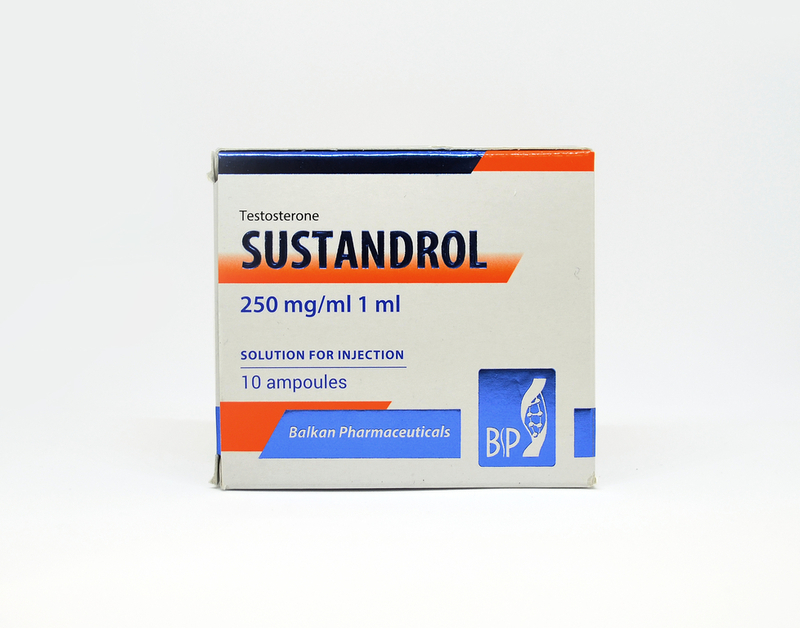 It is shown that with the use of sustamed is advisable to use a low dose of tamoxifen. There is no need to use when you want training for competition. Negative effects can be acne, oily skin, facial and body hair growth, baldness if there is a genetic predisposition. Use of clomed or tamoxifen will help to prevent the hormonal disaster. Sustamed remains in the body for a month after the last injection. It will be very effective if administration of tamoxifen will happen after 2-3 weeks after cessation of the steroid cycle, although is active in the body for a longer period, this steroid is administered once every 10 days. Optimal dose administered once every 10 days is 250 mg that can reach up to 1000 mg a week. If you increase the dose to more than 750-1000 mg per week, then the side effects will be greater than the gains of muscle mass. If you want to use high doses is better to combine it with other steroids like Anapolon 50 or Danabol, to obtain a more defined look it can be combined with Stanazolol. 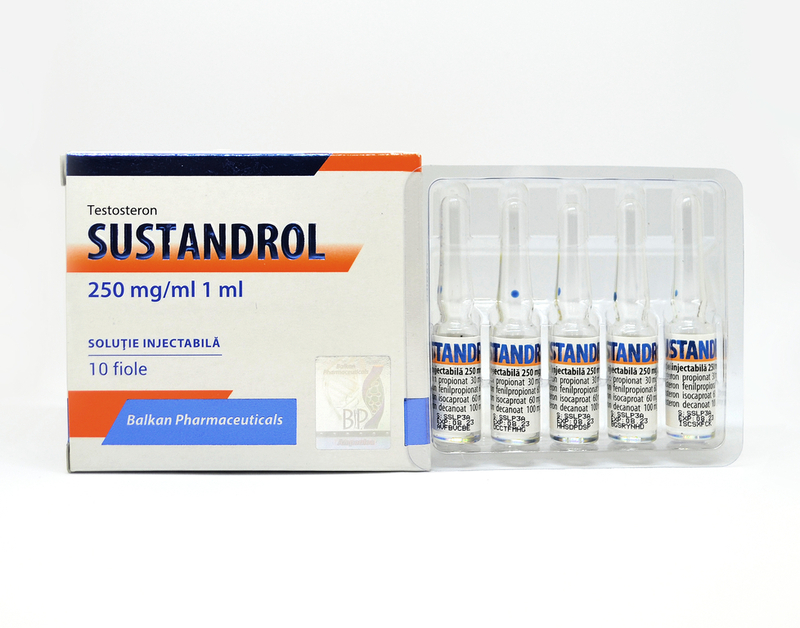 Sustamed is a very popular injectable steroid, not so much because of its efficiency but because of the idea that contains 4 steroids in one. Esters it only affects sustamed during its release into the blood. It can be easily replaced with testosterone P, the difference is the period of administration.